If you are packing and crating your artwork, do it carefully to save it from being damaged during the local or international transportation. We have already written about the main mistakes made by people when shipping their artwork, but here are some more tips that can also help you. 1. Use protective layers. Any artwork should be wrapped in an acid-free protective paper to save it from moisture and dust. For example, if you have a ceramic, wooden, or textile art, cover it with a clean white cotton fabric. Feel free to use an additional layer of protection, like plastic. However, don’t do it too tight – a loose wrap will be enough. 2. Use protective packaging. The whole trick for shipping fragile items is that two boxes are often better than one. They will save your artwork from bumps or sharp objects. In some cases, you can also use the foam placed inside the package for extra protection. 3. Identify and instruct. Your name should be written on every exterior side of the shipping box. 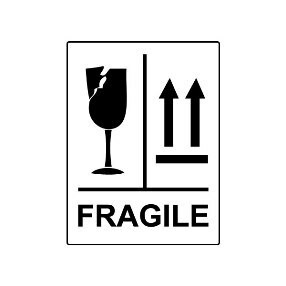 If you have special labels for shipping fragile items – use them. You can also write an instruction on how to open the package and unpack your art. Howbeit, if you want it to be done professionally, let the art shipping company do it for you. Fine Art Shippers are always ready to provide high-quality packing materials and custom crates, as well as any other fine art shipping services that will give your artwork the most protection.